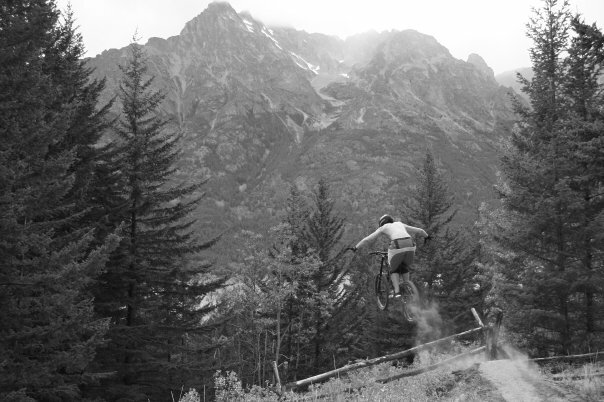 My buddy Dylan’s Grandpa has a cabin at Tatlayoko Lake, and three years ago I was invited to go up there for a week to scope out and ride some first descents. The area is in the Chilcotin Mtn. Range 5 hours west of Williams Lake, BC. Needless to say its pretty remote, and we were pretty sure we were the first humans to ride bicycles on these slopes. It was a wicked experience full of gorgeous views, wildlife and fast lines. I shot some photos and we made a video(warning: graphic) and Dylan has since returned and made a couple better quality videos. Reblogged this on Obeezy Photo. Enter your email address to follow BestMTB and receive notifications of new posts by email.